I enjoy satirizing corporate buzzwords. My favorite punchline for "Why did the chicken cross the road?" The business consultant: "We developed with our client a comprehensive plan to leverage her core competencies and better position herself for success in today's changing marketplace environment." But "empowerment" is one corporate buzzword that represents something holy, something God has been doing for a long time. God does empower his people. In fact, without God's empowerment, there is not much to say for us. God enjoys taking ordinary, insignificant people and making something great of them. But alas, we all too often find this too hard to believe. At first we struggle to believe God could do something with us. Then we shift to struggling to believe God can do something with that other person. 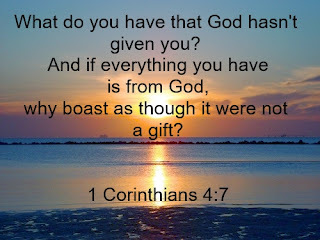 Or we cling to the role God has given us, forgetting that it is his gift, and that he likely delights in giving the same kind of gift to others. 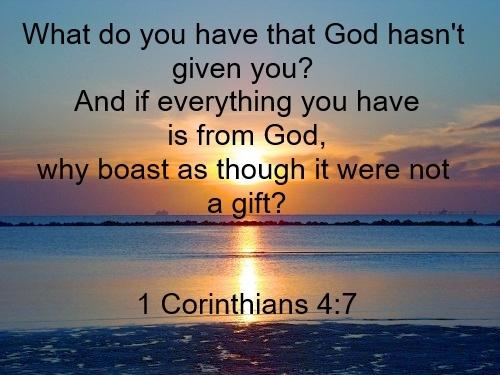 If we feel driven to control everything around us, because no one can get the details right as well as we can, have we not lost sight that our position and competencies are gifts from God? I think God calls us to be stewards of the authority or positions he gives us. He gives them to us for a time, not to be kept permanently for ourselves, but to be used for his kingdom. The time will come when we won't have that role any more, we are to hand it back to God, or see God hand it to someone else. The gift of being a beloved child in his kingdom, that is eternal. That we can cling to and call our own. The gifts of being someone notable in this world can only be temporary. We are only temporary in this world.